The term "histology" refers to the study of the microscopic structure of tissues. In order to analyse these samples precisely, you must follow a strict "histology sample preparation" process. Firstly, chemical fixatives are used to preserve tissue from degradation. Secondly the tissue samples are dehydrated, cleared and infiltrated with paraffin wax before being placed into moulds. 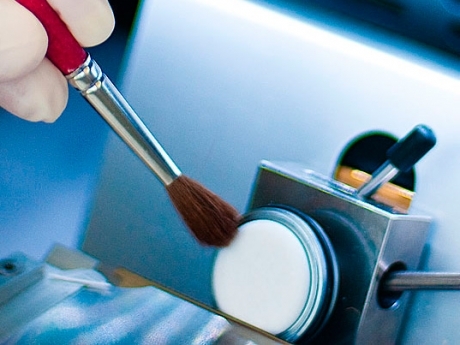 Liquid embedding material is added before the samples are hardened and then sectioned using a microtome. This produces extremely thin tissue sample sections which are placed on a microscope slide to be analysed. 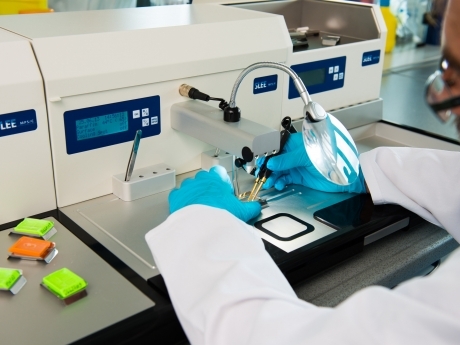 Laboratories require extremely proficient histological equipment in order to carry out these processes accurately. 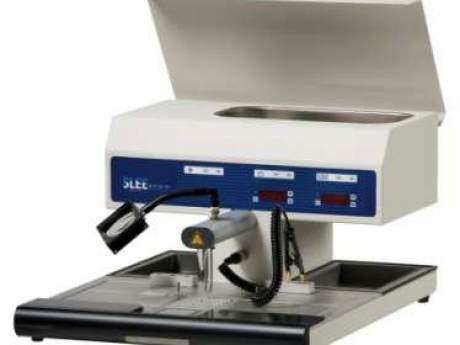 Consequently, at Labmode we stock a wide range of histological laboratory equipment from SLEE medical supplies. 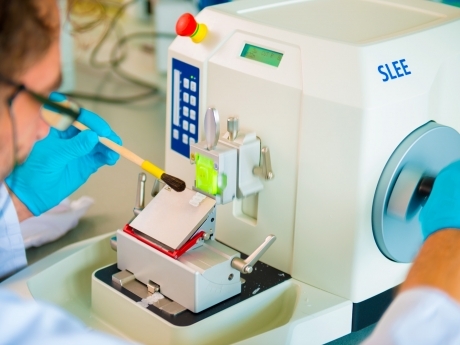 For over 50 years, SLEE have developed microtomes, tissue processing equipment, embedding stations, sectioning and staining equipment for pathological-histological laboratories across the globe. 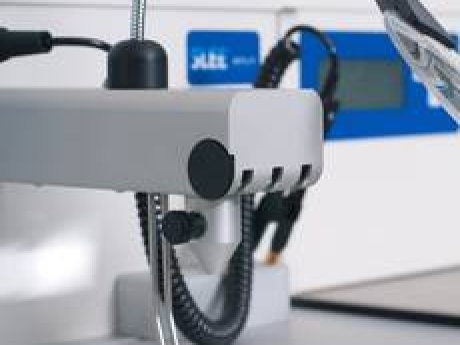 Browse our comprehensive range of SLEE Histological Equipment to find the particular units which best suit your laboratory's purposes. SLEE medical supplies a broad product range for equipping pathological-histological laboratories. Their products are used for the sample preparation of microscopic sample material. More than 50 years of experience in development, production and sales of freezing microtomes, microtomes and histological equipment is guarantee of high product quality and the continuous success of SLEE medical. The MTP carousel tissue processor guarantees gentle and highly reliable specimen processing in conjunction with state of the art control features. The specimen throughput can be doubled to 240 cassettes per run with a second transport basket. 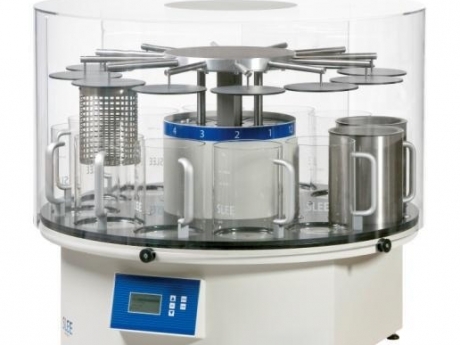 For faster and substantially improved processing of tissue, the instrument can optionally be equipped with vacuum units for all paraffin beakers. An integrated battery ensures highest process safety even in environments with frequent power failures. Hazardous fumes are efficiently eliminated by a fume extraction system thereby increasing user safety. The SLEE vacuum tissue processor family MTM combines state of the art technology with comfortable handling and design. The MTM II fast tissue processor offers a cost-efficient and user-friendly alternative for the fast biopsies processing and the overnight batch tissue processing needs of every histology laboratory. The innovative and patented enhanced heat exchanger (EHE) allows fastest non-microwave tissue processing today available. The system can be operated with traditional reagents or with most of the xylene and ethyl alcohol substitute available on the market. A user-friendly reagent management system and an optimized cleaning cycle routine are the basis for higher cost efficiency and higher turn-over. Process safety is guaranteed with an intelligent remote alarm system that communicates via mobile or internet. 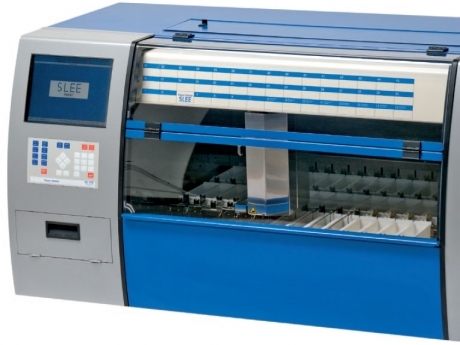 SLEE offers two ergonomic and reliable embedding centre’s for optimum workflow in smaller and routine laboratories. MPS/P1is a compact system for reduced turnover requirements, MPS/P2 is a modular system for high-turnover routine applications. The space-saving MPS/P1 is a complete paraffin dispensing unit including a 3.3 liters paraffin container, a heated working area and a cooling spot. The ergonomically elevated heated working area is illuminated with LED light and allows comfortable processing of specimen. All functions of the unit are controlled by an intuitive control panel. Two heated trays provide a pre-warming capacity of 80 cassettes and 200 embedding moulds. The MPS/P2 features ease of operation, spacious working area, large container capacity and reliability. All modules operate at the same working height and can be arranged according to laboratory requirements. The extendable modular 3-component system with separate temperature control elements consists of a dispensing element MPS/P, a preheating unit MPS/W and a separate cooling plate MPS/C. All SLEE microtomes are produced at the company‘s seat in Mainz, Germany. 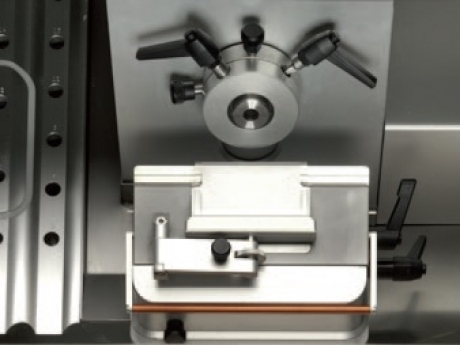 The highly precise, modularly built rotary microtomes range from a manual unit, type CUT 4062, via the semi-automatic type CUT 5062 to the fully-automatic CUT 6062. All microtomes are equipped with maintenance-free caged roller bearing guide ways and micrometer feed mechanism to provide highest stability and precision. A huge variety of accessories leaves the choice to customize your equipment and allows the use for any type of material or specimen in medical research, routine diagnostics or industrial applications. 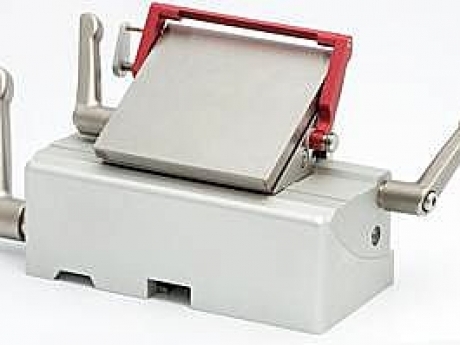 The new SLEE CUT 4062 is a manual rotary microtome designed for paraffin sections and research-, plastic- and industrial applications. 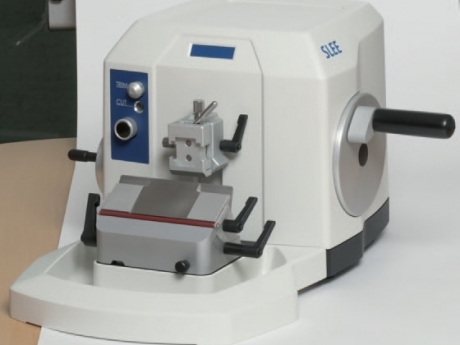 The SLEE CUT 5062 is a semi-automated rotary microtome designed for paraffin sections and research-, plastic- and industrial applications. The modular design allows custom-made assemblies from a huge range of accessories. The SLEE CUT 6062 is a fully automated rotary microtome designed for paraffin sections and research-, plastic- and industrial applications. The modular design allows custom-made assemblies from a huge range of accessories. SLEE medical has more than 50 years of experience in the development, production and sales of cryostats. 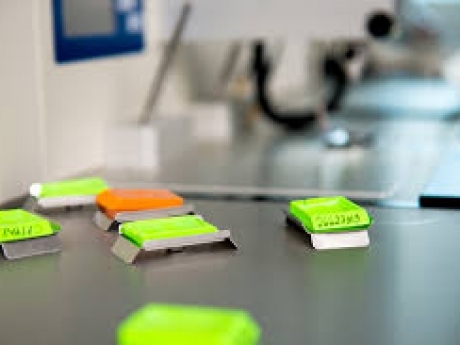 The application of these precision instruments is for the specimen preparation in histology and pathology as well as in industrial fields of quality assurance and material research. 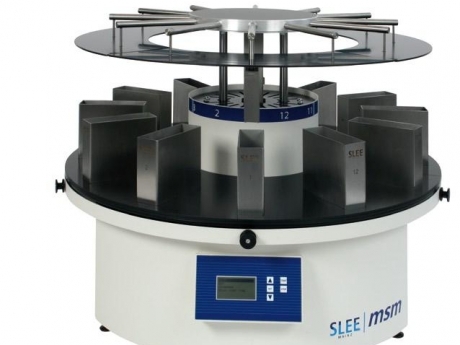 Already with the development of the worldwide first cryostat SLEE has achieved an excellent reputation and since then has continuously expanded a leading market position. The compact bench-top cryostat type MTC as well as the floor-standing units MEV and MNT comprise a spacious cooling chamber with easy-to-operate electronic control and automatic defrost function. The heart of all these units is the precise rotary microtome with well-proven SLEE quality. 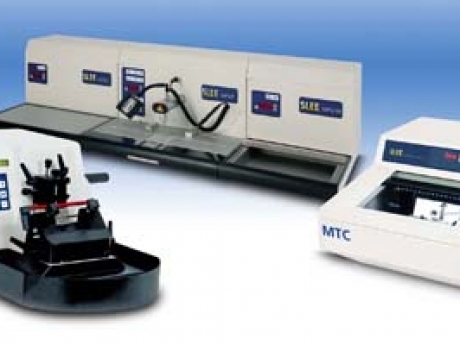 The MTC is a unique complete bench top cryostat for use in histology/pathology and research laboratories. The compact design makes this instrument an ideal backup for installed high-end cryostats and cost efficient alternative for low turnover applications. MTC is designed utilizing the latest ergonomic and technical ideas with special attention to hygiene and ease of handling. The model MEV features convenient operation and a modern rotary microtome. The space-saving design still has a large stainless steel chamber, an effective freeze bar with 24 positions and a chamber temperature to -35 °C. 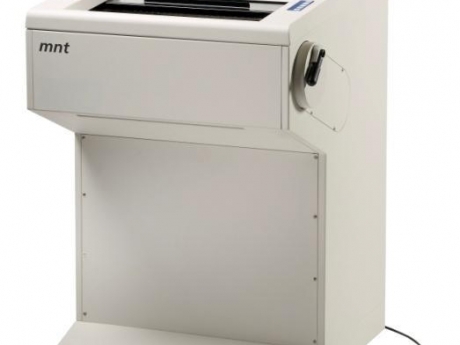 The MNT high-end cryostat is designed for histology/pathology and research applications. The instrument is equipped with a fully automatic rotary microtome with extremely high mechanical stability, tolerance-free roller guides and state of the art electronic control. 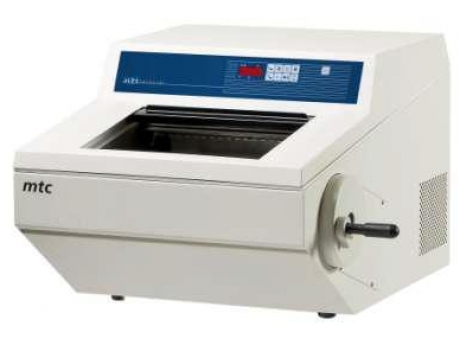 The MSM carousel stainer is designed to meet the basic requirements for routine staining in histology and cytology laboratories. The instrument is equipped with either 12 or 24 incubation stations that contain up to 400 ml. An integrated battery ensures highest process safety even in environments with frequent power failures. Hazardous fumes are efficiently eliminated by a fume extraction system thereby increasing user safety. The tissue stainer MAS combines flexibility with speed and opens new dimensions in the field of automation. It is possible to work with different staining protocols at the same time due to the large number of 44 stations. The instrument can process up to 12 baskets containing 30 slides each. Programming and process control is via coloured LCD display. 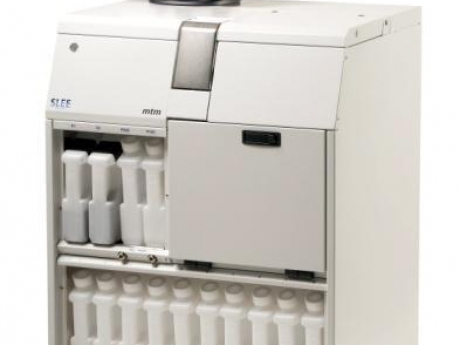 Its unique Reagent Management System (RMS) ensures high quality samples and helps reducing consumption and costs. User safety and comfort is ensured by a highly efficient integrated exhaust system including carbon filter.